Don’t stress about making the perfect Thanksgiving meal this year. 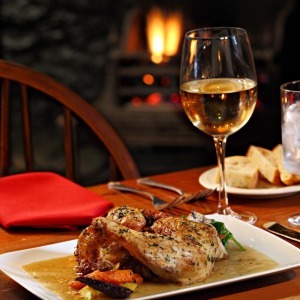 Instead, leave the cooking up to some of LoCoVa’s top chefs and get away for a relaxing holiday in wine country. Many of our restaurants and resorts have created special menus and packages so you can kick back, watch football and connect with family and friends. Lansdowne Resort: This dog-friendly resort is featuring a special getaway package for the holidays where you can bring your furry friend along for no extra cost. While staying, enjoy one of three Thanksgiving meals in the resort’s signature restaurants. Start early with Lansdowne’s breakfast buffet or join for lunch, which will include a delectable pumpkin & Virginia-orchard apple bisque. If you prefer to wait until after a football game or two, celebrate Thanksgiving with a three-course dinner at Lansdowne’s Crooked Billet. Salamander Resort & Spa: Make Thanksgiving memorable with a stay at one of America’s newest luxury resorts. Enjoy a Virginia-crafted five-course feast in Harrimans or a family buffet in the Middleburg ballroom, complete with a six-flavor mimosa bar and activities for children. If your favorite part of Thanksgiving is football, watch all the games in Salamander’s Gold Cup while eating southern-style comfort foods like the Loaded Pilgrim Sandwich. Goodstone Inn & Estate: Tucked away in the Middleburg countryside, this inn is perfect for a family getaway this Thanksgiving. With six individual residences, guests can reserve an entire building –like the Dutch Cottage or Bull Barn- for their family to stay. 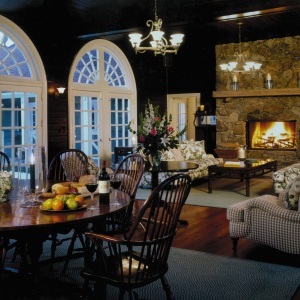 The inn will also feature a special Thanksgiving dinner in the onsite restaurant. 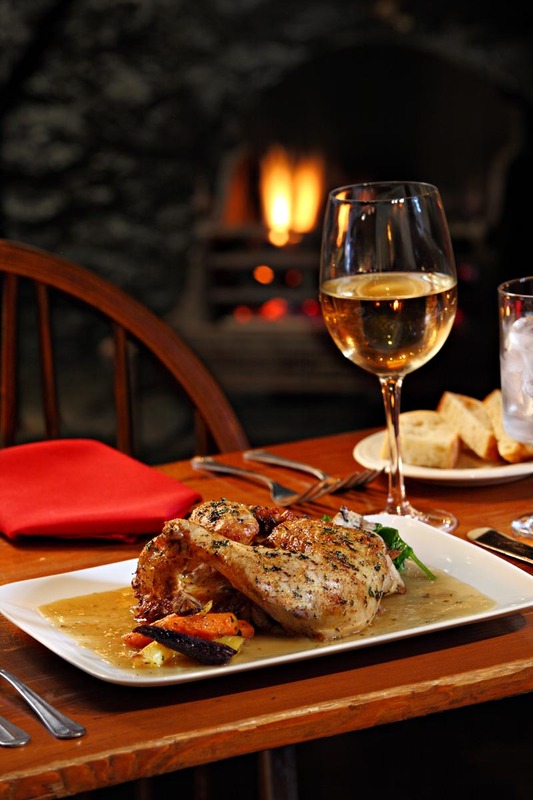 Red Fox Inn & Tavern: If you are spending the holiday just with your honey, consider this romantic inn in the heart of hunt country. The circa 1728 inn and tavern has served American icons such as Elizabeth Taylor and Jackie Kennedy Onassis and will feature a special three-course dinner Thanksgiving afternoon. Comfort Suites Leesburg: If you are counting the days until Black Friday, then book the shop and stay package at Comfort Suites Leesburg. Receive a VIP coupon book for the Leesburg Corner Premium Outlets and complimentary shuttle services to the shops. For Thanksgiving, venture to The Restaurant at Patowmack Farm for a farm-to-table holiday meal or Hunter’s Head Tavern for a Thanksgiving Buffet. Before savoring the cuisine from our extraordinary chefs, shopping or relaxing for the big game, consider checking out the numerous volunteer opportunities in Loudoun to give back this Thanksgiving season. For more information on places to stay and Thanksgiving events, visit www.visitloudoun.org.